Curious British Telly: 10 Most Disturbing Children's TV Shows. Ever. This show has been the bane of my life for literally decades. Being someone named Louise, every single teacher and parent who’s ever met me has immediately declared me “Looby-Lou” after the character in this very show. At twenty years old it’s still my mother’s nickname for me and, frankly, I’ve had enough! 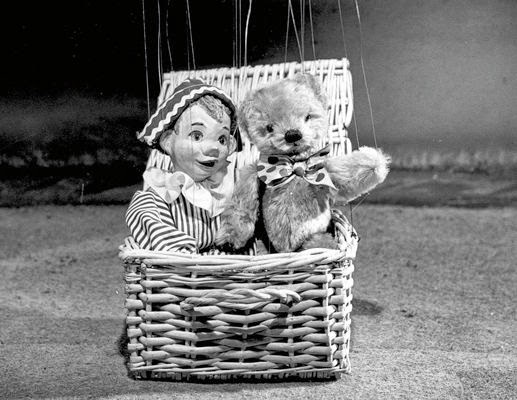 But beyond my own personal trauma, there’s something inherently weird about puppets in general, and especially the slightly asinine, extremely haunted feel to these petrifying pests, living in a nightmare dreamscape populated by living teddy bears and created by the mind of a child-hating psychopath. I might be pushing it a bit with the retro theme here, but this series, with puppets created by the evil mind that came up with the Spitting Image beings, still fits the bill. Broadcast from 1989-91, it was for some reason a satirical kids show, set in a sewer, hosted by an alligator and populated by the puppet denizens of Satan. It boggles the mind to think that this dark, satirical comedy was ever aimed at children, and who’s cruel idea it was to make it so. Hurrah, a lovely little kid’s show about puzzles and loveliness for very young children! What could possibly go wrong-wait a second, what the hell is that thing?! 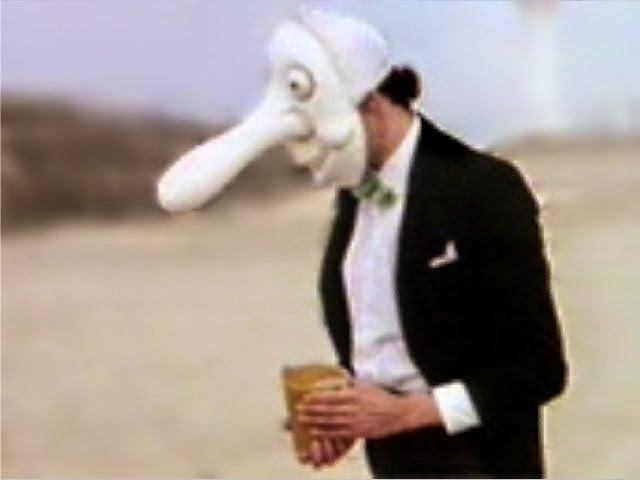 Yep, Mr Noseybonk, a phallic nightmare of a children’s TV character, apparently existed in this universe to run about wiggling his white gloves around and wave his bemasked face - complete with gargantuan nose -at anyone who dared anger him. Frankly, I’m now upset that I chose to write this article so close to my own bedtime. 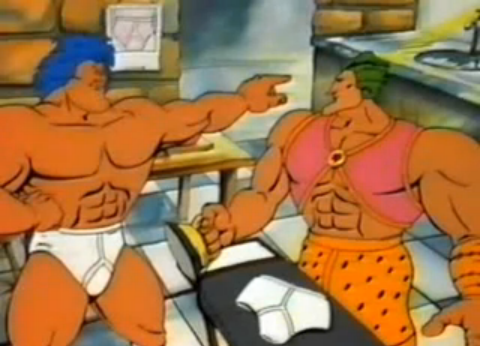 I assume this show was some sort of punishment for naughty children. I watched this show with my father, who had been too old to catch it when he was a kid, and both of us were probably a little more unsettled than we’d care to admit as grown adults. 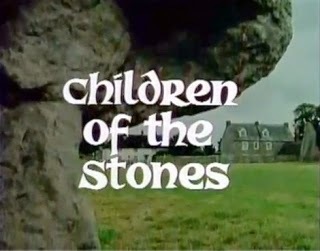 In a Midwich-Cuckoos-esque rural town, mysterious stones hold the power to awake ancient evil and their creepy appearance in the credits was enough to make me check I had locked all the doors in the house. Who, exactly, thought this was appropriate teatime fare?! My answer to that, dear reader, is that I myself took many years of joy in adorable, anthropomorphic Rupert and his adventures, until I stumbled across the 1969 TV series by mistake. I assume that marionettes are instruments of torture as someone decided that a marionette with a boy’s body and a bear’s head was considered completely acceptable for innocent children. Add in a number of creepy side characters and, sure enough, you’ve amped up the fear factor far past what most horror movies would consider humane. 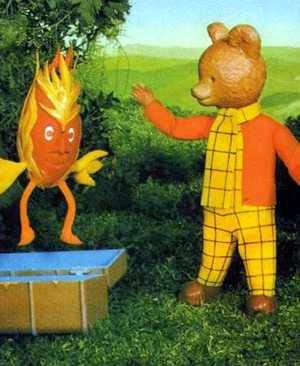 Scarred for life, I never looked at dear old Rupert the same way again. The real takeaway from this list is, if you don’t want to terrify children into voluntary muteness with your TV show, don’t use puppets! 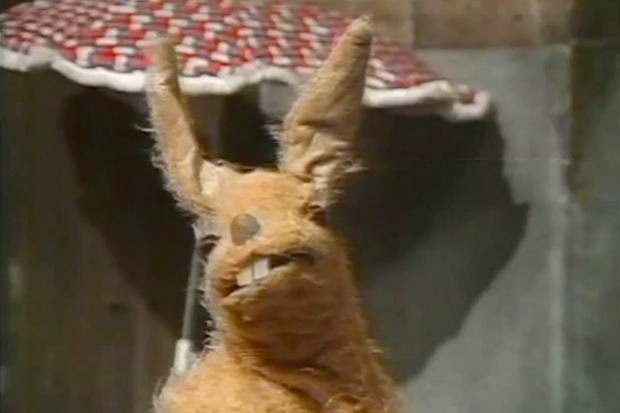 There’s probably no better example of this cardinal rule than Pipkins, a well-meaning but ultimately horrifying escapade with puppets made by people who had apparently never even heard of a puppet before. The animals they were trying to recreate often looked like they had been involved in some sort of violent road traffic accident and, come to think of it, very well might have been. Ah, nothing to bring home the childish glee of television like being trailed by shadowy Government forces, is there? Because that’s exactly what you got if you tuned in to Chocky. 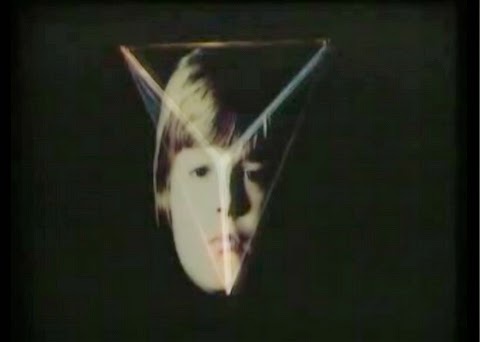 Following the tale of a boy who had to communicate with an alien that lived inside his head (suspect at best), and was then pursued by high-ups beyond his understanding, this all just seems unnecessarily dark and devastatingly traumatic for budding sci-fi/horror mash-up fans everywhere. 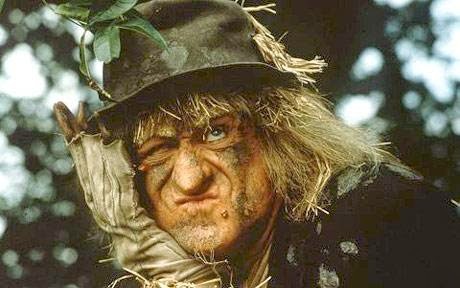 The thing is, Worzel Gummidge isn’t really that frightening until you get to thinking about it as a grown-up. It’s all fun and games, until you realize that this poor soul has been trapped living as a scarecrow for as long as he can remember- which implies that he was once either all man or all scarecrow. That kind of existential angst is enough to send anyone plummeting over the edge! 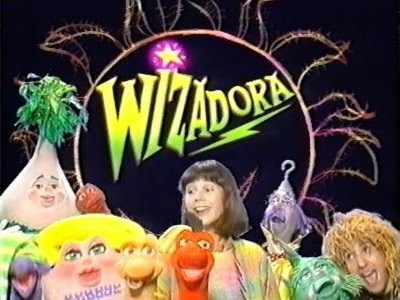 I remember watching Wizadora on some compilation boxset VHS a well-meaning family member purchased for me, and being simply crushed with terror. I couldn’t remember why, specifically, until I braved the internet to find a clip. And wow, it all came flooding back to me. Yah, boo, I can hear the shouts of dismay from the back row already, but what else was going to be here? Doctor Who deserves this spot because it has the rare honour of having disturbed every single person who watched it as a child. 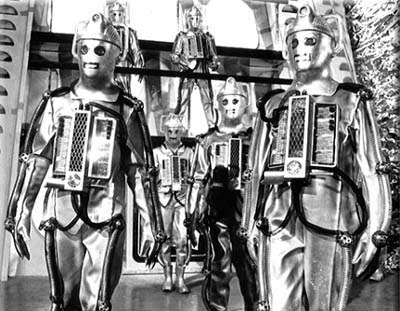 Whether you were so petrified by the Cybermen you were banned from watching it into your late teens (which my mother certainly wasn’t), or carry a burning fear for the Sea Devils inside you no matter how old you get (guilty), Doctor Who was and is an equal-opportunity disturbatron machine. If you’ve never been creeped out by Who, you’re watching it wrong. How do you find Wizadora scary!, it's the most family-fun children's ITV series ever! Terrahawks. I am thirty five and I'm still absolutely petrified of Terrahawks.